Filtered for #natchezthedog. Back to unfiltered. Walking #natchezthedog on the Beech Hill rd. Natchez deserves a medal too! @AOMM and now we're in NH walking the other grand dog! 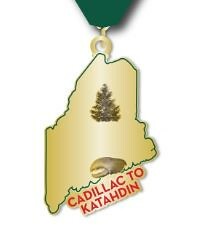 @GO4Acadia is closing in on finish line. Looks like it could be in Shenandoah??? #41 ultramarathoner. #52 runner. Extends streak to 4 days. Some stretching, then beachcoming and walking #natchezthedog on the backside. #47 ultramarathoner. #52 runner. 6th Longest personal run of this race this month. Longest personal streak grows to 5 days at 3.42 miles/day. #52 ultramarathoner. #52 runner. Extends streak to 5 days. Plans changed when we got 1 foot of snow instead of 1-3 inches, as forecast. So indoor stretching and outdoor walking #natchezthedog. #52 ultramarathoner. #52 runner. 5th Longest personal streak grows to 7 days at 2.52 miles/day. That's why I call it inaccuweather! Walking #natchezthedog on the Man o' War fire road. #52 ultramarathoner. #52 runner. 6th Longest personal streak grows to 6 days at 2.78 miles/day. Walking #natchezthedog. Dang, broke my streak yesterday but with more snow forecast tomorrow, hoping to bring out the skiis and snowshoes soon. #62 ultramarathoner. #52 runner. 9th Longest personal run of this race this month. #83 runner. Passed 1 runner.